You can link a Tuleap item to a Bugzilla reference. 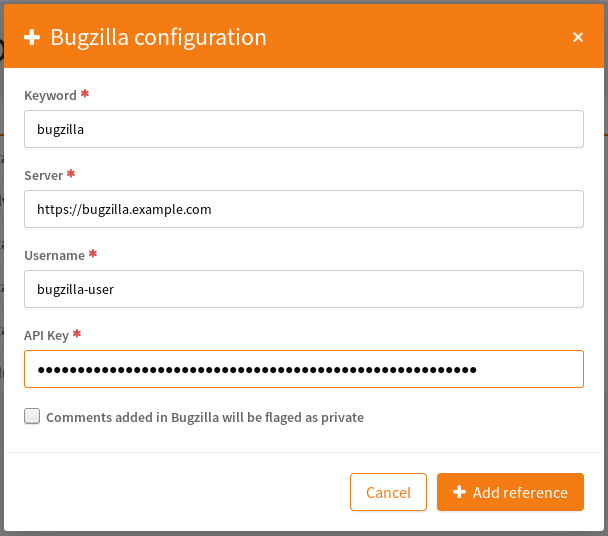 First as a platform administrator you should add the keyword you want to use and the Bugzilla server you want to be linked on. Now you can use the new reference in Tuleap and you will see link in both Tuleap and Bugzilla.